I think zucchini get a bad rap. Because they are so abundant at their peak, people make jokes about them and try and hide them in all kinds of recipes from cakes and curries, to stir-fry, scones, soups and stew. 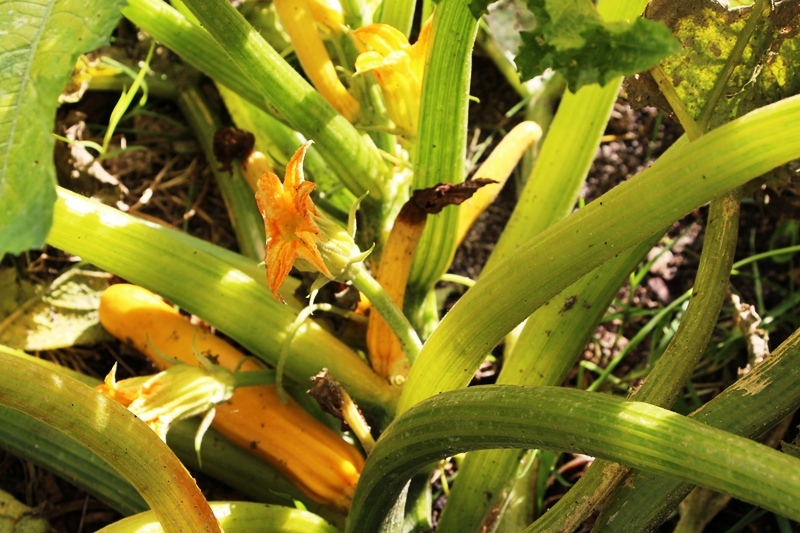 More than 6 months after planting – and in the middle of winter – we are still harvesting from vines that have grown nearly the full length of the vege bed. The zucchini are smaller and firmer, but still sweet and tasty. They have been quite neglected, but next year I will look after them a bit better and see how long they will last. I have to admit I am looking at them a bit impatiently as I am ready to plant the potatoes in that bed.